As I’ve mentioned before, the children love books, so when I heard about the Quack and Field series of books by Rob Foster I knew they would love them. 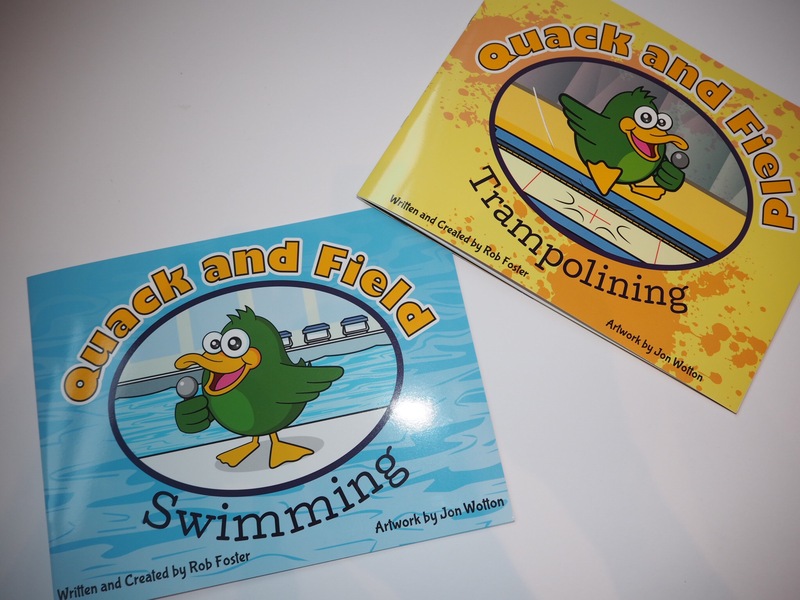 The books follow the antics of main character Quack accompanied by different characters for each book as they compete in different Olympic and Paralympic activities with the aim to educate both disabled and able bodied children about the world of sport. 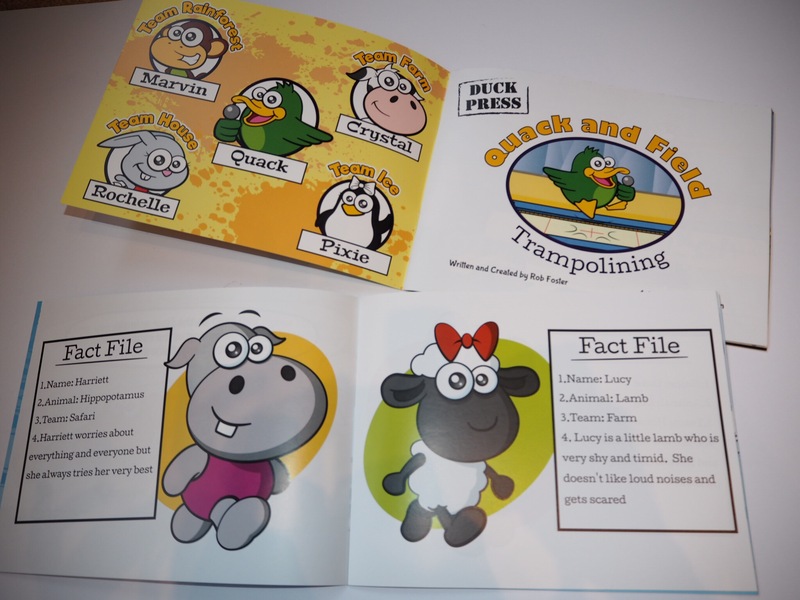 In ‘Trampolining’, Quack is joined by Crystal the cow, Pixie the Penguin, Rochelle the rabbit and Marvin the monkey. The books have handy fact files on all the competitors and lovely bright illustrations to keep the children occupied whilst I’m reading to them. Cameron and Carly loved hearing all about the animals trying to be the best at bouncing, and in ‘Swimming’ they enjoyed guessing which animal would win the race to be crowned best in the water! 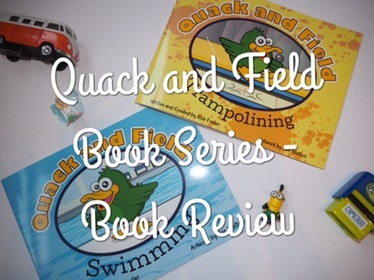 I can see this book series being a real hit amongst young children (they’re aimed at ages 3-7), I know my older two will love hearing more from Quack and his friends. The next book in the series is Wheelchair Rugby, which will be available from the new year. You can buy the books straight from the website at £6.99 per book plus £1.50 postage for up to 3 books. To keep up with more adventures from Quack, you can also follow on Twitter. Swimming and Trampolining were sent to us for the purpose of review, however all views are our own.